Lead, Nickel & Cadmium Free! 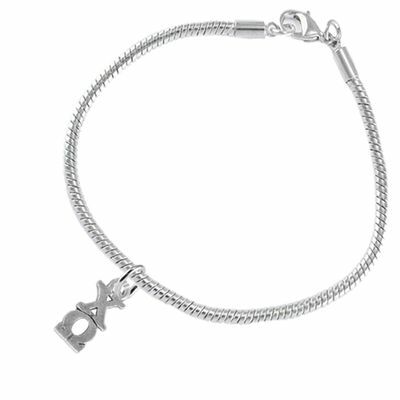 Bracelet Suspends Detailed Silver Tone Greek Letter Chi Omega Sorority Mini-Charm. Comes On A Snake Chain Bracelet.